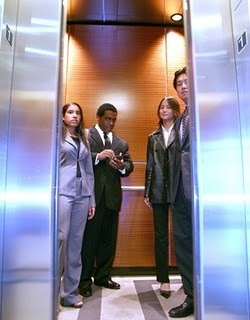 If you have ever been in sales, you have heard the term “elevator speech.” Some call it the elevator pitch. The idea is that you should have a speech ready at all times that you can use to introduce yourself to others. I was a member of a networking group that talked about this a lot. We didn’t just talk about it, though. We talked, we wrote, we critiqued, we role-played and we laughed at each other’s speeches. Some were great, while others…had opportunities for improvement. I was reminded of this twice over the last week when I talked with new and prospective clients. I asked them about themselves, and it was obvious that one of them had never been coached on this concept. Here’s why it is important. So, here is an idea. Take some time to write your speech. Now here’s the meaning of this post’s title: try writing it on a 3”x5” card, and be able to say it in less than 30 seconds. Make it concise, clear and interesting enough to get the listener to want to know more. Practice it on your cat. Bore your children. Do what you have to, but be able to tell someone about yourself well. If you can’t, who can? Are You Part of the Big Brain? On what topic are you an expert? Maybe you spend hours each week working in a discipline that has allowed you to develop expert level knowledge in some area. Maybe you have a passion outside of work that others would find valuable. If you haven’t explored Quora, you are missing an opportunity to learn, share and bolster your personal brand. Inc. Magazine offered a useful tips article for Quora users. Visit Quora, read the article and understand what the site is all about. Then consider this. If you have a skill that you could share to benefit others, consider engaging in this forum. Pick a topic and search for some of the people who are also involved in the conversations. 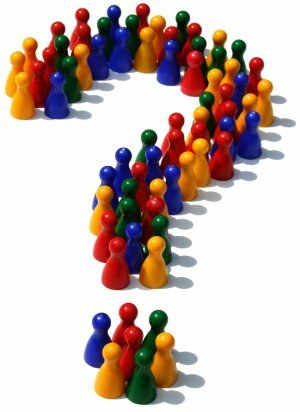 You will find thought leaders on every topic freely sharing their knowledge, asking questions and engaging in dialogue. If you want to know what the leaders in your field or industry are discussing, this is a great place to visit. Think about how you can burnish your own personal brand on the site. I have been visiting and posting to help people with questions concerning resumes, cover letters and other career marketing issues. What do you know a lot about that you can share? File this pointer under “New Things I Have Learned This Week.” Take a few minutes, see if the site and the conversations resonate with you, and decide if this can help you develop your professional brand and online reputation. If so, jump into the conversation, have some fun and show us how smart you are. Author Bill FlorinPosted on March 4, 2011 Categories online reputation, Quora, social media, UncategorizedTags Inc. MagazineLeave a comment on Are You Part of the Big Brain?